Genetically modified chickens capable of laying eggs with anti-cancer drugs? Yes, it's a thing. In an article form BBC news, Researchers have developed GM chickens whose eggs contain drugs for arthritis and some cancers. This method of producing these drugs can range anywhere from 10-100 times cheaper than factory manufactured drugs. By adding a human gene to the chickens they have made it so that the egg whites are rich in certain proteins which the lack of is the cause of certain cancers and arthritis. One is IFNalphay2a a protein with powerful antiviral and anti-cancer effects. The other macro-phage CSF a protein being developed to help damaged tissues repair themselves. 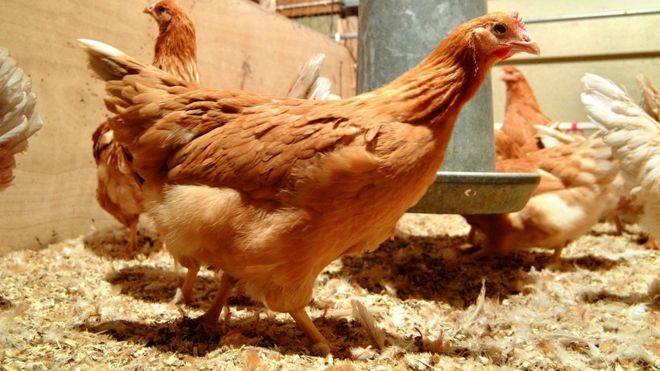 Although they are not currently producing drugs for people, they have shown that chickens are commercially suitable for producing proteins for drugs manufacturing. This method of drug production will undoubtedly lower the production cost of these expensive drugs. Thus lowering the cost to the costumer may very well be an egg that saves the lives of those who can't afford the treatment they need. This is really crazy and interesting. The fact that someone even thought to try using chickens to replicate these drug proteins is astounding to me. But this breakthrough can prove to be extremely useful, as it would allow for rapid, cheap replication of these vital drugs. This could make these treatments more affordable, saving many more lives in the process. I am curious if these drugs have any side effects on the mother hen. But overall this is a very interesting article!